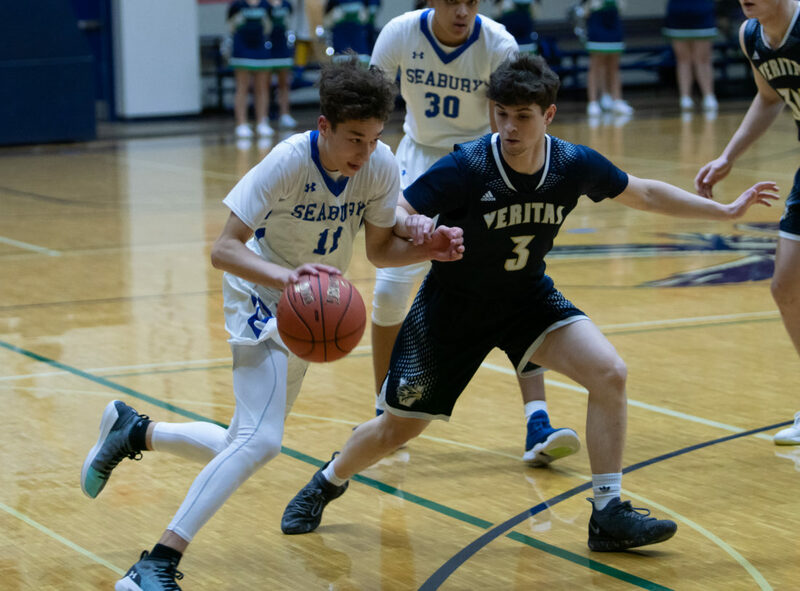 Bishop Seabury's Zach Bloch (11) drives the ball pass Veritas' Trey Huslig (3) on Friday, Jan. 11, 2019, at Bishop Seabury Academy in Lawrence. 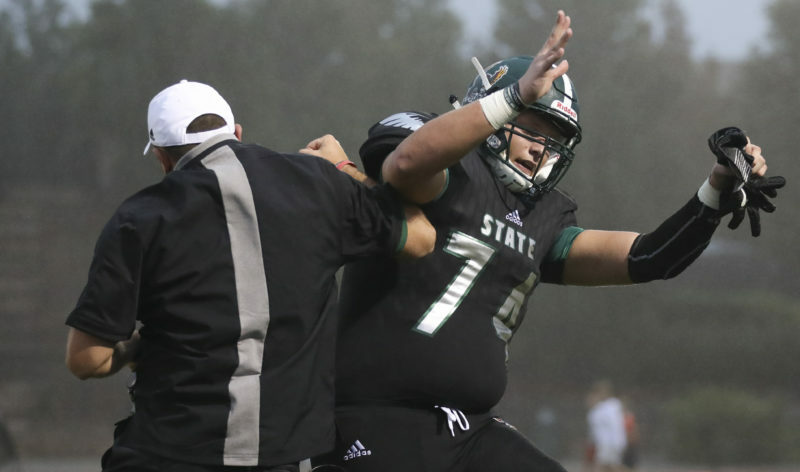 It is no secret that the City Showdown between Lawrence High and Free State is a big deal. But the private school version of the City Showdown, at least in boys basketball, has been just as electric as of late. Bishop Seabury (11-4, No. 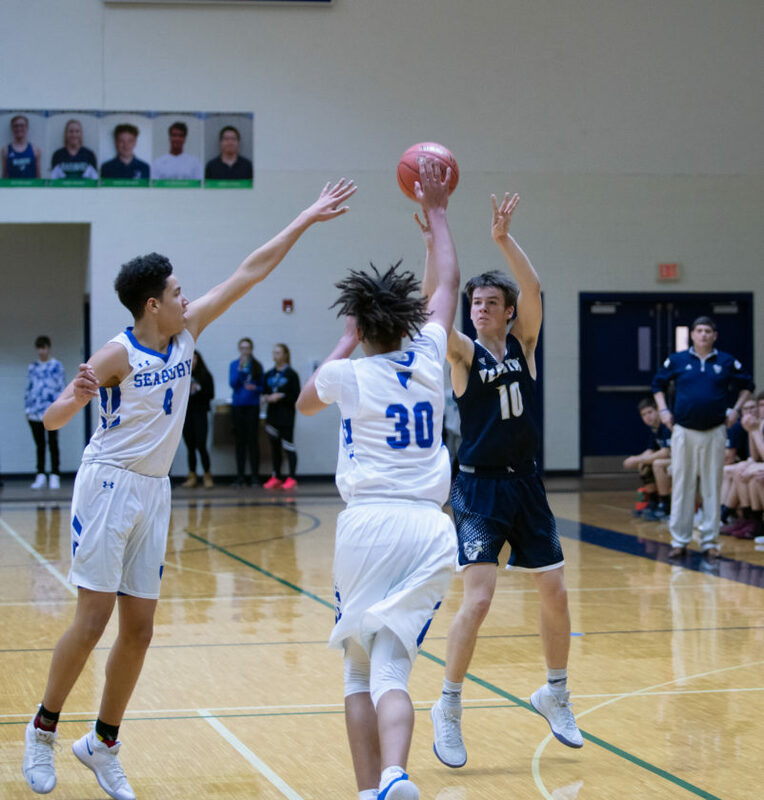 7 in Class 2A) and Veritas (16-8) proved just that nearly a month ago, when Zach Bloch hit a buzzer beater to lift the Seahawks to a 51-50 win over the Eagles on Jan. 11. 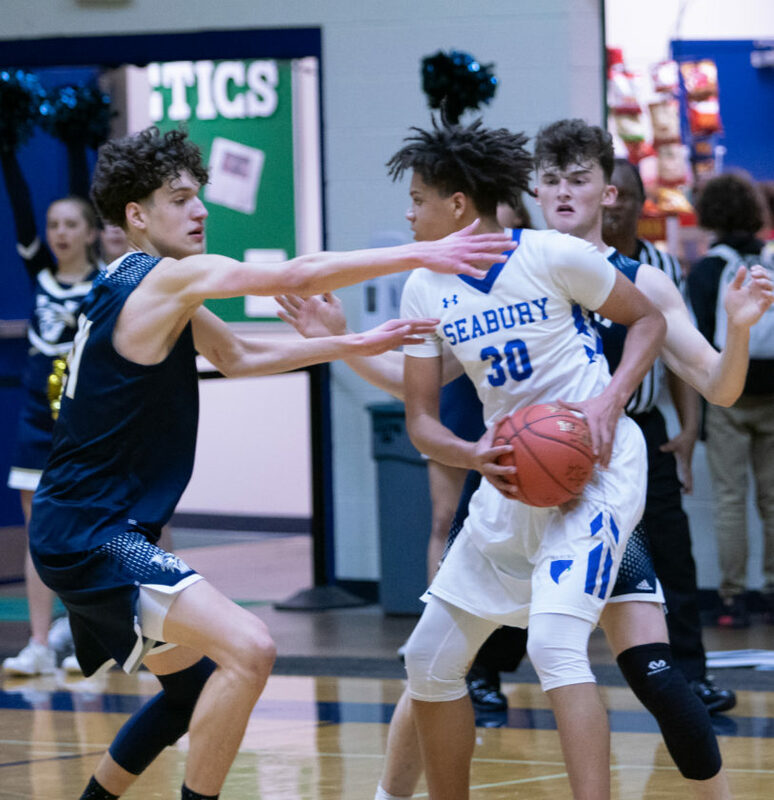 The second installment, which is slated to take place Friday night at Bishop Seabury, figures to be a riveting rematch between two talented teams. Like the City Showdown, the private school rivalry is all in good fun. Players from both teams are familiar with one another, and they like to keep track of how the other squad is doing throughout the season. Veritas’ Aaron Evans (2) looks to drive the ball past Bishop Seabury’s Joao Carlos Ramirez (4) on Friday, Jan. 11, 2019, at Bishop Seabury Academy in Lawrence. It is only recently that this game has started to receive more buzz, which is a credit to the rise of the Veritas basketball program. The Eagles, who have won a pair of state titles the last two seasons, split the season series with the Seahawks last year. Both meetings between the two teams came down to the wire. Veritas claimed a 55-52 win in the first meeting, which marked the team’s first victory over Bishop Seabury under head coach Carl Huslig, who is in his fifth year at the helm. The Seahawks then won the rematch by a 48-44 margin a month later. If recent history is any indication, this year’s rematch figures to be another thrilling contest, one that will likely come down to who is better on the defensive end. Both teams have hit their stride on defense, even against quality basketball squads in higher classes. 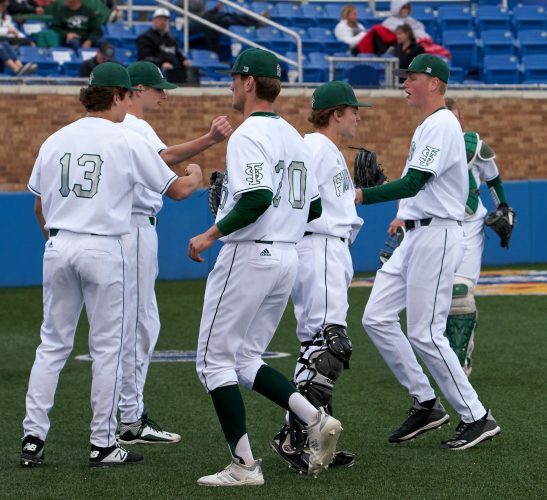 The defensive play has led both teams to a two-game win streak ahead of Friday’s showdown. Veritas has held its last two opponents to 43 points and 33 points, respectively. Trey Huslig, Jackson Rau, Will Rau, Will Eagleman, Scott Weinhold and Tucker Flory have all been a big part of the team’s stellar defense. Bishop Seabury’s Miles Branch is trapped by Veritas’ Tucker Flory (34) and Scott Weinhold (24) on Friday, Jan. 11, 2019, at Bishop Seabury Academy in Lawrence. Bishop Seabury allowed 45 points last time out, and gave up 19 points in the game before that. 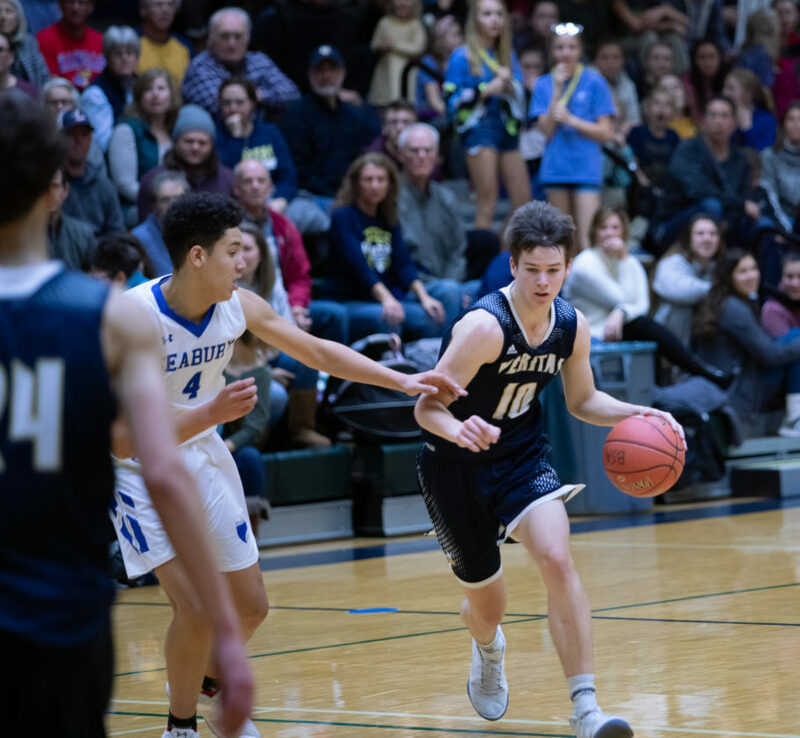 The Seahawks have a number of athletic players that lock it in on that end of the floor such as Stavian Jones, Joao Carlo Ramirez, Sam Bayliss, Luke Hornberger, Chris Green and Miles Branch. 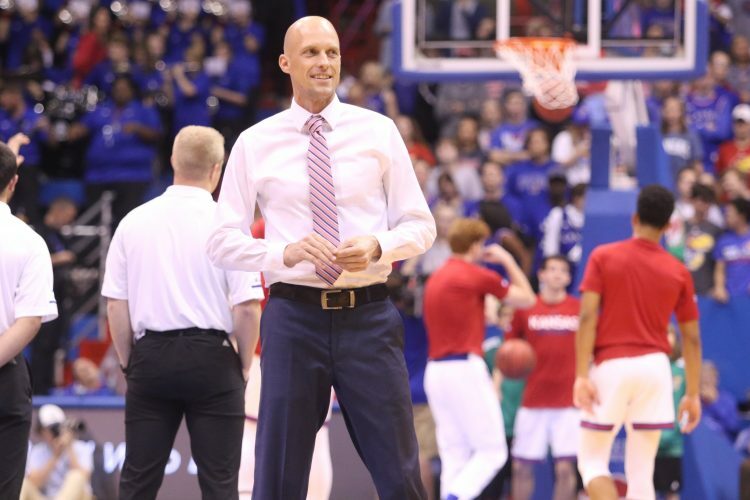 In addition, both programs have had some standout performers on the offensive end recently. Branch, a sophomore who became eligible to play in January, has made an immediate impact for the Seahawks with his ability to finish through contact. In his last game, Branch threw down an emphatic dunk off an assist from Bloch. Bishop Seabury’s Miles Branch (30) and Joao Carlos Ramirez (4) run out to defend the 3-pointers by Veritas’ Will Rau (10) on Friday, Jan. 11, 2019, at Bishop Seabury Academy in Lawrence. Flory, meanwhile, is back from an ankle injury, which he actually sustained with three minutes remaining in the game against Bishop Seabury. The senior has scored at least 25 points in each of his last four games. The game is slated to begin at 7:30 p.m.
Free State’s boys swim and dive team was heavily featured on the All-Sunflower League teams following a third-place finish in the league meet last weekend. The Firebirds had three swimmers make the first team. Freshman Benjamin Vorthmann, sophomore Reilley Moore and senior Chad Anderson made the All-Sunflower League first team. Meanwhile, senior Jake Viscomi earned a second-team selection. In addition, sophomores Riley Sirimongkhon-Dyck and Brady Flynn were named to the honorable mention team. Lawrence High sophomore Tyler Jones also earned an honorable-mention selection. 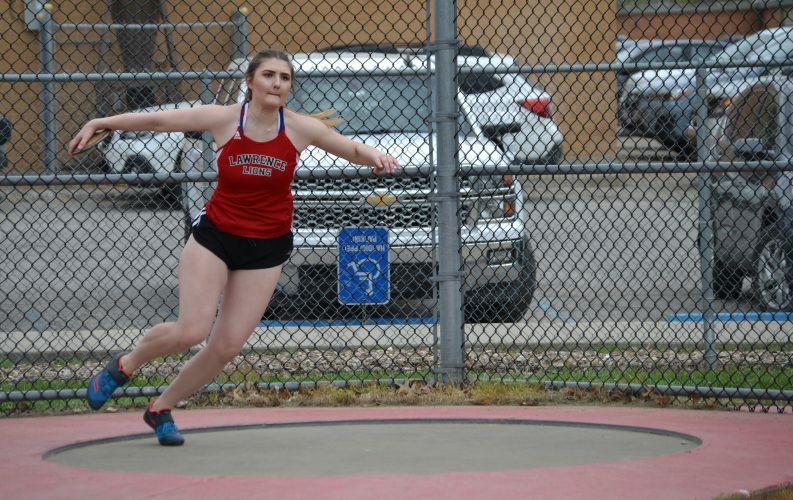 Both teams will be in action for Free State’s Last Chance meet at 2 p.m. Friday for one last shot to qualify for the state meet. First team: Benjamin Vorthmann, FS; Reilley Moore, FS; Phillip Costello, Olathe East; Trey Smith, SM North; Ben Stock, Olathe South; Andrew Fey, SM East; Chad Anderson, FS; Sam Bruck, SM East; Scott Slein, SM Northwest; Jack Gabrielson, Olathe East; Will Fankel, SM West. Second team: Aidan Walter, Olathe East; Jake Viscomi, FS; Fletcher Smith, Olathe South; Brandon Powell, Olathe South; Bennett Junkin, Olathe South; James Schipfer, SM East; Nathan Peck, Olathe NW; Micah Leslie, Olathe East; Ian Wiley, Olathe South; Evan Deedy, SM East; Zac Crockett, Olathe South; Sam Aldeguer, SM South. 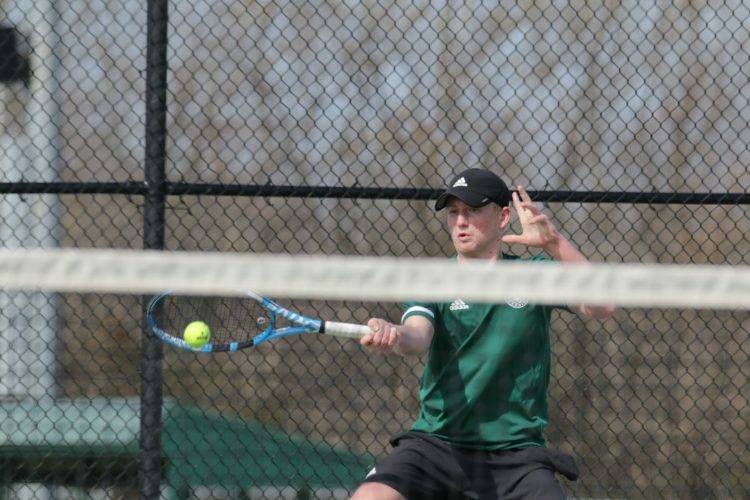 Honorable mention: William Kelly, Olathe Northwest; Riley Sirimongkhon-Dyck, FS; Tyler Jones, LHS; Aidan Hurley, Olathe NW; Sam Stoeck, Olathe South; Ashton, Olathe NW; Luke Hagan, Olathe East; Bo Kimmel, SM East; Aaron Ralston, SM East; Joseph Turk, SM South; Brady Flynn, FS; Pete Stanton, SM East.